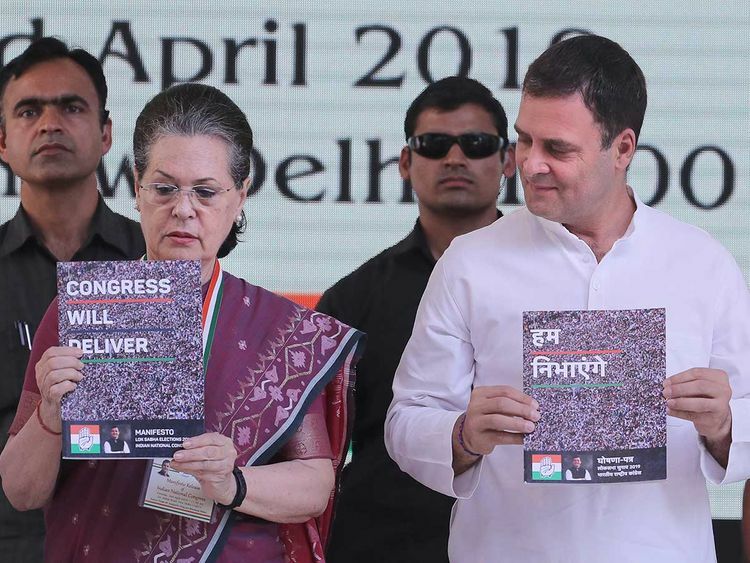 DUBAI India’s main Opposition party – the Congress—on Tuesday unveiled its manifesto for the country’s general elections starting April 11. The highlights included filling up of 2.2 million public sector vacancies, monthly cash payments to the poor and elimination of poverty by 2030 and a simplified tax structure for goods and services. Just how convincing are these promises? Gulf News spoke to some Indian expats in the UAE to find out. Their manifesto ticks all the right boxes. Nyay (minimum income support scheme) could indeed be the final assault on poverty. Not only will it give mobility to the poor, it will also increase their disposable income. The Congress promise to curb media monopolies is also a step in the right direction as independent press is one of the essential pillars of a democracy. Similarly, the proposed separate budget for the agriculture sector could go a long way in ending the woes of farmers many of whom have been driven to commit suicide in recent years The Congress manifesto pledges to tackle unemployment, which I reckon is the single most important issue facing Indians as unemployment rates in the country is the highest in 45 years. Their manifesto also promises to replace electoral bonds with a National Election Fund. On the face of it, it looks good but I need more clarity on the issue. I feel that the Congress has released a more realistic manifesto this time. The manifesto addresses significant issues of the country and economy. Moreover, it also promises to address employment issues which is a major concern for the youth of the country. Empowering youth is important for the future of the country. The manifesto addresses important issues which have been omitted by the Modi Government. Creating a separate budget for farmers and making defaults on loan a civil offence instead of a criminal one is a stepping stone for improving the conditions and scope of farmers. The NYAY Scheme is also more believable and achievable this time. I think that the manifesto has come up at the right time to address important issues. We need to come up with solutions for our nation’s development, rather than dividing ourselves on religious grounds. However, I believe that Rahul Gandhi should also work on improving his image, as people don’t take him seriously even when he address issues that matter. Despite Congress releasing a promising manifesto, I still believe it’s nothing but a plethora of false promises. Congress has a history of making promises without having any intention of fulfilling them. At least, under the Modi government, we’ve seen a stable economic growth and we have also strengthened our foreign relations. All that we have received under the leadership of Congress are scams and corruption scandals.